KYOTO, JAPAN – September 18th, 2016 – The production of animation project “Uchoten Kazoku 2,” based on Tomihiko Morimi’s original work “Uchoten Kazoku Nidaime No Kicho” is annoucned at the “Uchoten Kazoku Kendochorai Stage” event (10:00am-10:30am JST) at Kyoto International Manga Anime Fair 2016. 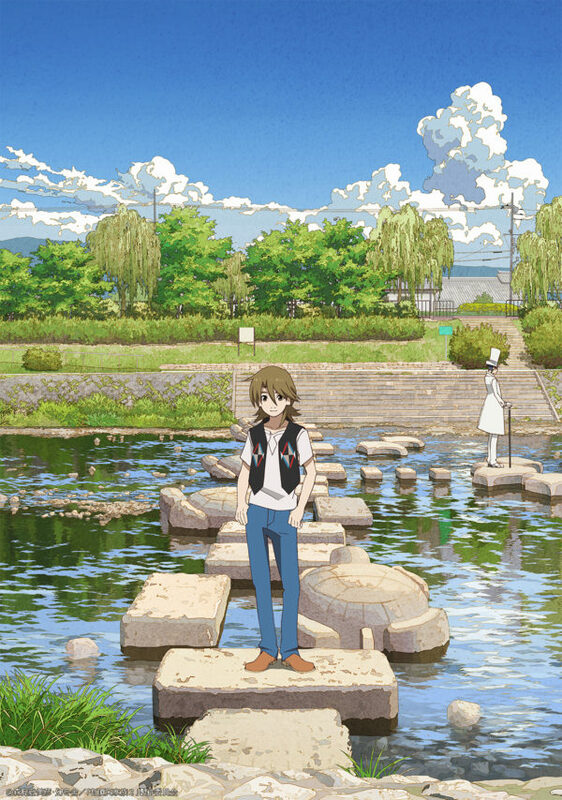 “Uchoten Kazoku” (The Eccentric Family) is a television animation series that was broadcasted in Japan in 2013. The story of family of Tanukis (raccoon dogs) takes place in Kyoto. The eccentric comedic drama full of family love has been highly applauded with its beautiful animation and unique world. Even after the broadcast, fans from around the world continue to support the series. In 2013 December, at the “17th Japan Media Arts Festival Animation Division,” it was the only television animation to receive the “Excellence Award” that year. The long-awaited sequel is based on Tomihiko Morimi’s book “Uchoten Kazoku Nidaime No Kicho” (published by Gentosha since 2015). The bestseller novel “Uchoten Kazoku” sold over 360,000 copies, and this is its second volume. The core staff from previous animation series will return on this sequel. The character designs are created by the popular manga artist Yasuji Kumeta (“Zetsubo Sensei,” “Kakushigoto”), Masayuki Yoshihara is the director, and Lantis handles the music production. Animation production is by P.A.WORKS. This is the studio’s first sequel series. and Benten, the bewitchingly beautiful woman, is voiced by Mamiko Noto. Event At Kyoto International Manga Anime Fair 2016 and Announcements The announcement of the sequel is made at Kyoto International Manga Anime Fair 2016 in Kyoto, the setting of the story of “Uchoten Kazoku 2.” At the stage event, Tomihiko Mirimi, author of the original novel; Takahiro Sakurai, voice of protagonist Yasaburo Shimogamo; Mamiko Noto, the voice of Benten; Masayuki Yoshihara, director; Kenji Horikawa, CEO of P.A.WORKS; and Shigeru Saito, music producer, attended the event. The event focused on the above members looking back at the first series “Uchoten Kazoku” and their comments about the second series.The Blu-Ray Box Set (For Japan Release) Also AnnouncedAt the same event, Blu-ray of the first series “Uchoten Kazoku” that was released in 2013 is announced. The Blu-Ray Box Set will be sold by Bandai Visual. Details will be announced separately at a later date. “To visually adapt part 2 of the original novel, I felt the need for greater determination and to become more adventurous, even more than the previous season. We want to make this animation, but if we become careless, we’ll end up in the Tanuki pot. In a world surrounded by fluffy furballs, we crave for that taste of happiness we previously had. We may roast in the inferno flames if we fail to grab hold of the spider’s thread. Many thoughts filled my mind, and I realized that what were previously whispers coming from the fool’s blood have now gathered into a resonating song.